Poker and video poker. The difference is only one word but it makes a world of a difference in actual application. Remember all the players, their poker faces, hats and cigars. We are not talking about the glasses and weird behavior. You call it strange? They call it earnest of success. See the difference? Honestly, it does not matter as the professional poker players do everything possible so that their reaction would not be noticed. The people, who did not like playing live poker because of the emotional pressure, were extremely happy to receive the possibility to play video poker. It is some kind of a mix between a slot machine and poker. The console reminds of the jtraditional slot machine but way of playing it is completely different. This game appeared in the mid-70s. And it exceeded all the expectations. It was the IGT Company that introduced Draw poker at the end of 1970s. The main point is to get the highest hand, the winning one. The first rule says - you make a bet and receive five cards. If you do not like your hand, you can easily improve it. You need to choose the cards you would like to keep. Then you choose the "deal" option and you will receive the cards as the replacement of those, which you want to switch. That is the end of the game as the replaced cards make your final hand. If you win, you receive your winnings. If you lose, say good bye to your bet. Video poker online is just like the land one. No differences at all but you feel more comfortable. They are the same as the live poker hands. There is even a table that describes all of them and the occurrence of the hands in video poker. It is not difficult to memorize them. It is interesting that you learn the rules and hands of one game and apply it for two games. As there are many variations of the game it is natural that there would be many strategies as well. But before using them you should pick the right machine, select the strategy you want to apply to your game. And first of all, you might want to try playing for free in order to practice and improve your skills. Not a single game can be played without tips. Everyone wants to teach others how to play, when to play and where to play. We are not an exception. But you should always keep in mind that it is good to follow the recommendations of the people, who are skilled in their gaming. 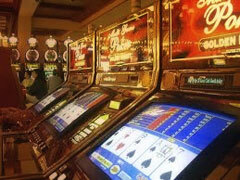 At the same time there are general tips on video poker gaming and the very first one is managing your bank roll. It is vitally important to be disciplined if your intention is to win big. You should also remember that any game has some part of luck in it, the hand dealt, the cards replaced and so on. But it does not exclude your knowledge and skills.